Choosing to not be defined by the number on the scale, is a hard choice. I have used that number to secretly define myself for a long time. If the number is up, then I am a failure. If it is down, I want it to go down farther. So much emphasis is put on weight, looks, the physical appearance in general. Not only do I judge myself by physical attributes, but that judgement has also gone past myself to other people. Neither is good and definitely, neither is beneficial. It puts my mind and spirit in a dark place. Jesus wants us to be in the light. When I focus on the number on the scale, I am putting the emphasis on me, whether it is good or bad. It is really a selfish thing to do. When I am focusing on my obedience to God, the emphasis moves. It becomes about Jesus and who I am in Him. My body is a temple of the Holy Spirit. Right now, I am not super happy with my weight, but my body is still a temple of the Holy Spirit. As I become healthier, my body will still be a temple of the Holy Spirit. That doesn't change. As I am going through this study, it is hard for me to think why I have never connected my physical and spiritual health. God gave use abilities and skills and it is dishonoring to Him when I am not doing everything I can to bring God glory. Being skinny, by the world's definition, only brings happiness. And that happiness is completely dependent on the number on the scale. Joy comes from the Lord. When my weight brings down my spirit, the joy of the Lord is not evident in my life. 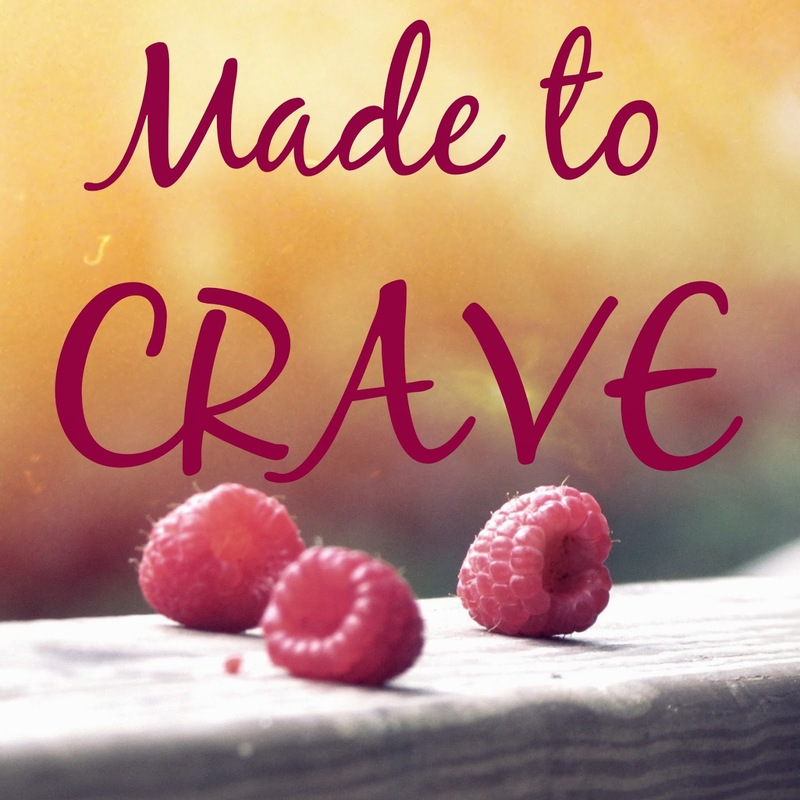 I am made to crave, but only to crave God, not a certain weight or food. Once my focus changes from me to God, then I will truly be delighting in obedience. I have wondered the same thing about never connecting my physical and spiritual health before. Everything has changed since I began this study and put God first! Why have I not done this sooner!!?? I am so glad that God wants the best for me and He truly cares! We are more than a number! Thank you for sharing!! Thank you, Jennifer, for your comment! It is so reassuring to know that God does want the best for his children. And yet so often we get let ourselves get in the way of those blessings! What a journey this Made to Crave experience has been thus far!! It's so frustrating when we put so much emphasis in the things we are not, and so uplifting when we know who we are in Christ. Daddy only wants the best for us and yet, there we go stamping our feet, wanting our way. Imagine if He would have done that and never obeyed dying on the cross. He is amazing and He loves us so. Loved reading your post and thank you for sharing your heart. Blessings to you and yours!! Thanks for stopping by, Trish! I need to constantly remind myself who I am in Christ. Otherwise, I get bogged down by the things I am not. So thankful that God does not see me that way!